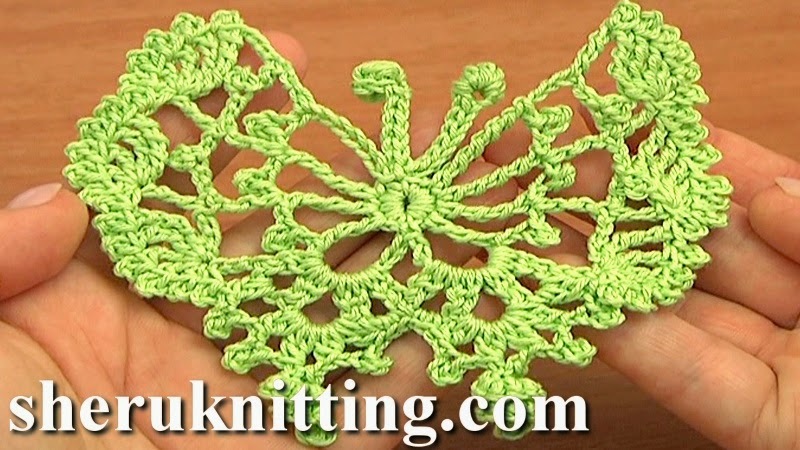 Step-by-step video instructions on how to crochet a delicate butterfly. Learn how to crochet a butterfly, free patterns, many beautiful crochet butterfly patterns, crochet different butterflies following detailed video tutorials. On Sheruknitting.com you will find many beautiful crochet butterfly patterns. Enjoy! Butterfly was made of 100% Cotton Mercerized, 169m/50g,4 ply; and with Steel Crochet Hook 1.5 mm or 2mm (#8 or #4 US standards).